A little sign about us = BIG $$$ Savings for You! 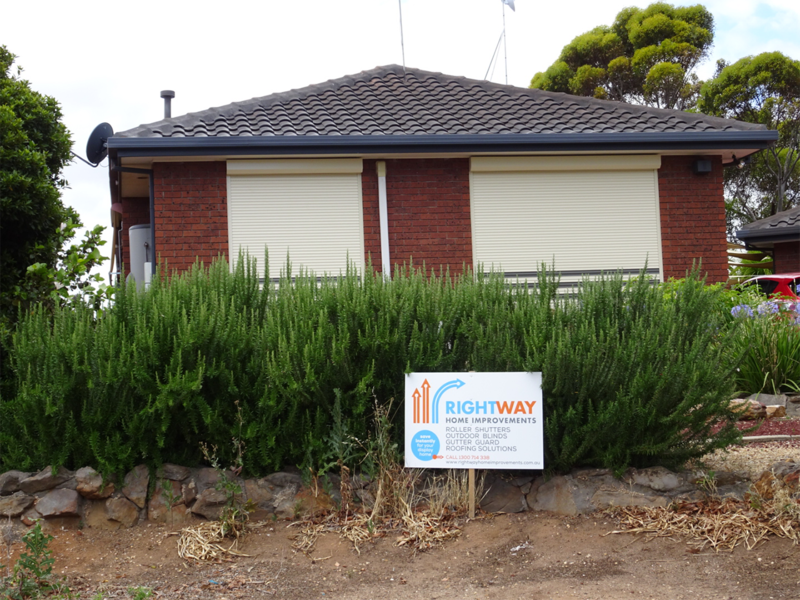 Save money on your next home improvements by simply displaying a small Rightway Home Improvements sign on your property. 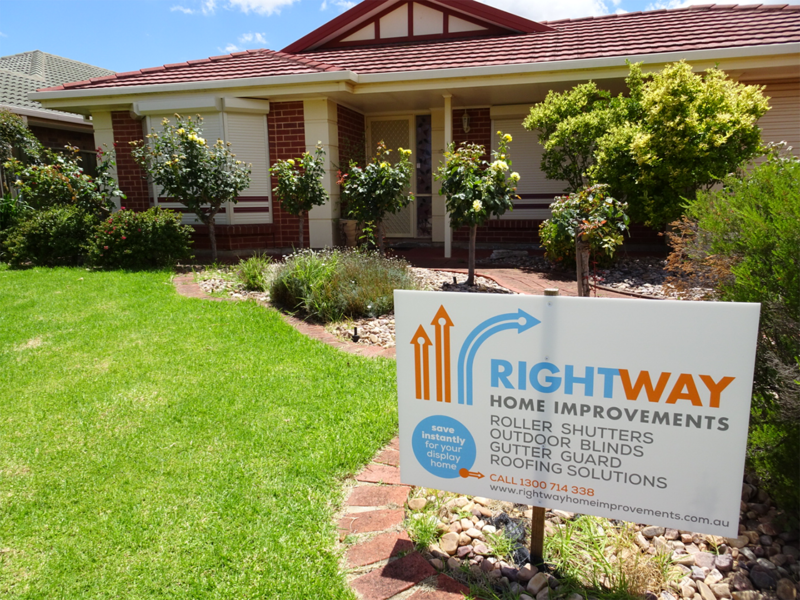 We know that in choosing Rightway Home Improvements, our customers have made an excellent choice! 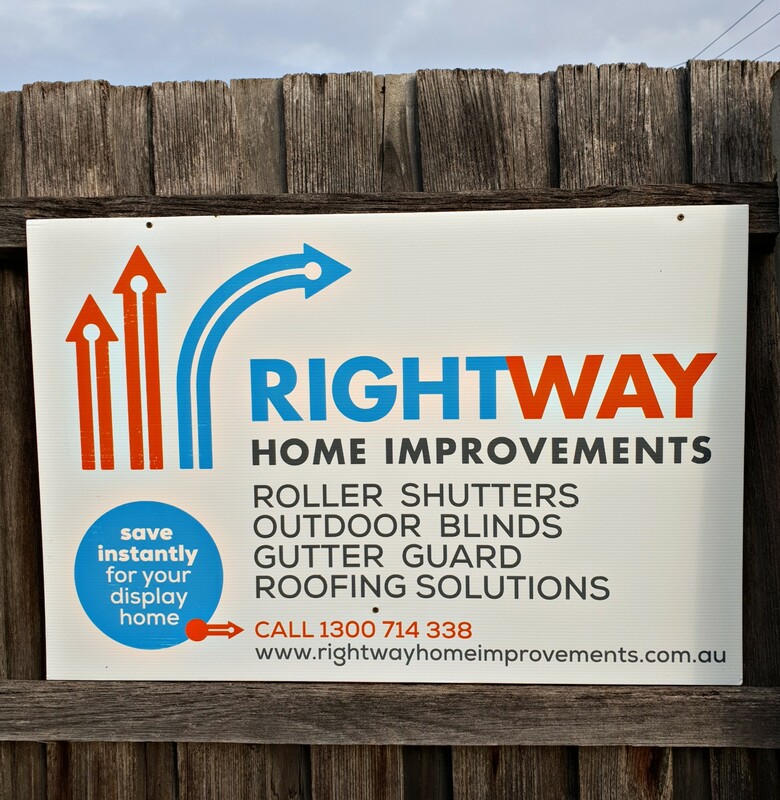 We trust they’ll be completely satisfied with our high-quality products and service delivery from our experts – so much so, they’d be happy to recommend our company to others who are looking for similar products. In return, we want to reward our customers for helping to “spread the word” about we do and what we have to offer. Displaying a small sign about us means incredible savings for you! 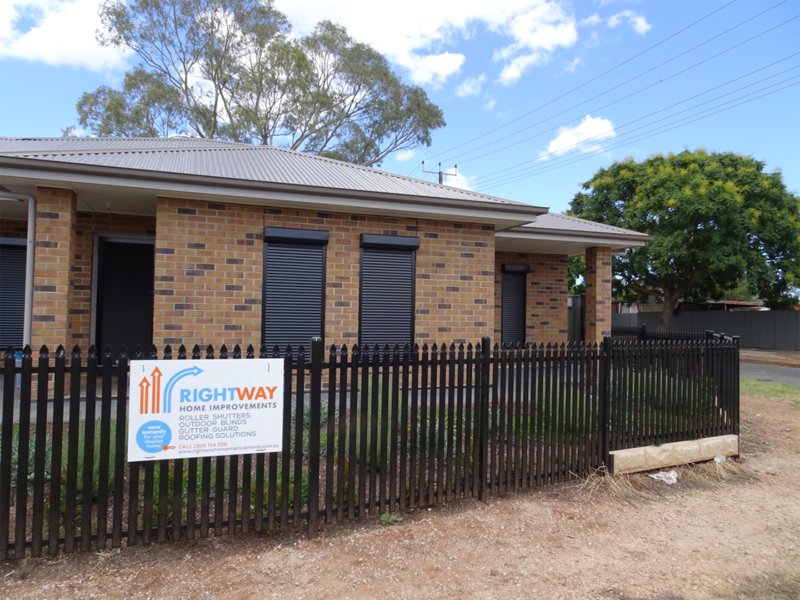 Sign advertising is an effective way to reach a large number of potential customers quickly and efficiently. 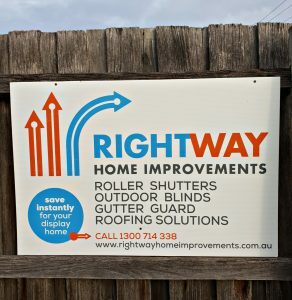 If you display a small sign promoting Rightway Home Improvements on your property for just a few months, you’ll enjoy substantial savings on the products you’ve purchased. How you can help us & be rewarded at the same time. We are looking for well-positioned properties to maximise reach to potential customers who may be interested in our products. In return, we will reduce the purchase price of our products for you. 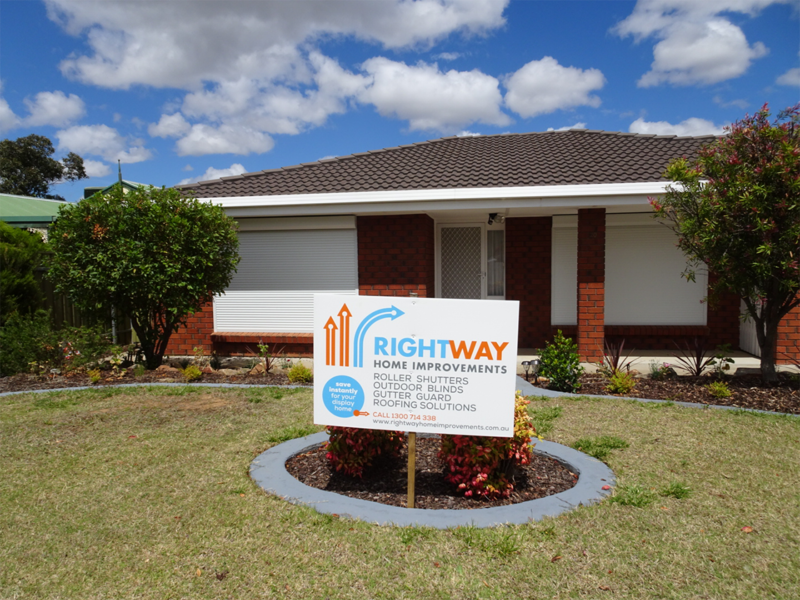 If you’d like to be an Rightway Home Improvements “Display Home”, we’ll send out a representative to check the suitability of your property, and discuss potential savings for you. 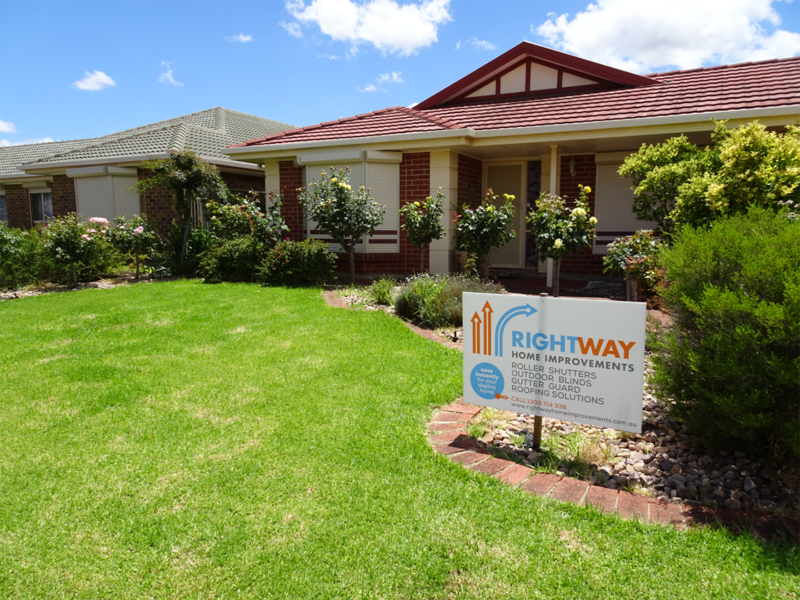 NOTE: Even after meeting with our Rightway Home Improvements representative, you’ll be under no obligation to take up our Display Home savings offer unless you’d like to. 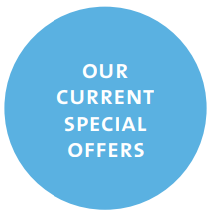 CLICK ON THIS MONTHS SPECIALS & CONTACT US NOW!